Justin used a Polyurea kit to install the AWF Polyurea on his 750 sq. Ft. garage floor. The polyurea combined with the random-broadcast flake application looks fantastic in his garage. We are always quick to recommend the AWF polyurea because of the extended pot life. The virtually unlimited pot life allows customers to take their time with the installation process, decreasing the number of mistakes. When it comes to working in the garage, we should all take mindful action towards better health and overall preventative care. Although many cancers are genetic, hereditary, or cause-unknown, there are health threats in the garage that are preventable. Due to the nature of those who tinker, build, repair, and love spending time in their garage, exposure to some risk may be heightened. 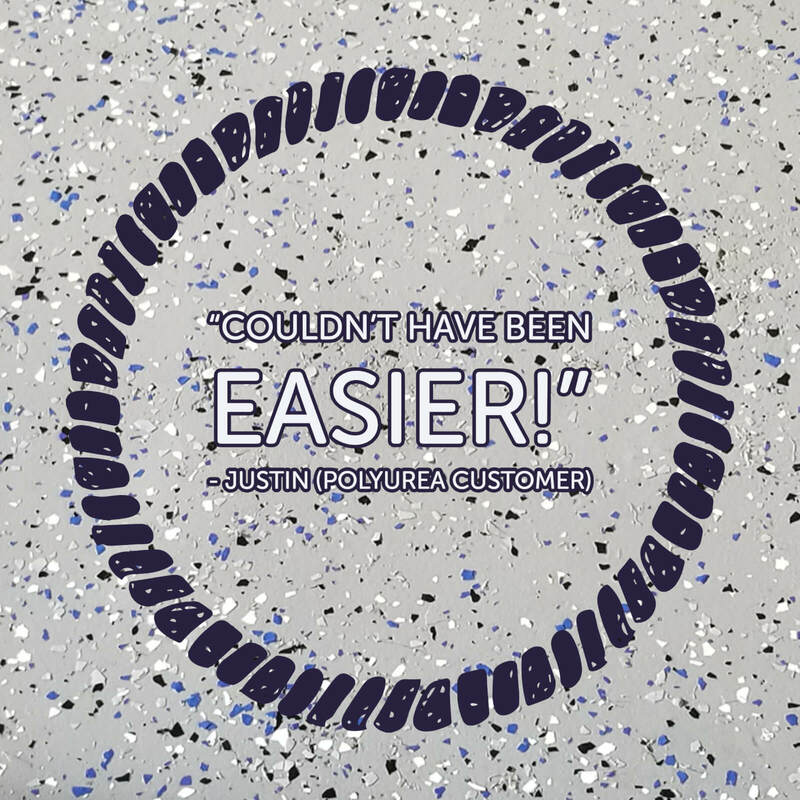 In his garage, Mike installed the TrueLock HDXT Diamond Tiles in his garage. Then, Mike placed the TrueContain Containment mats on his floor. 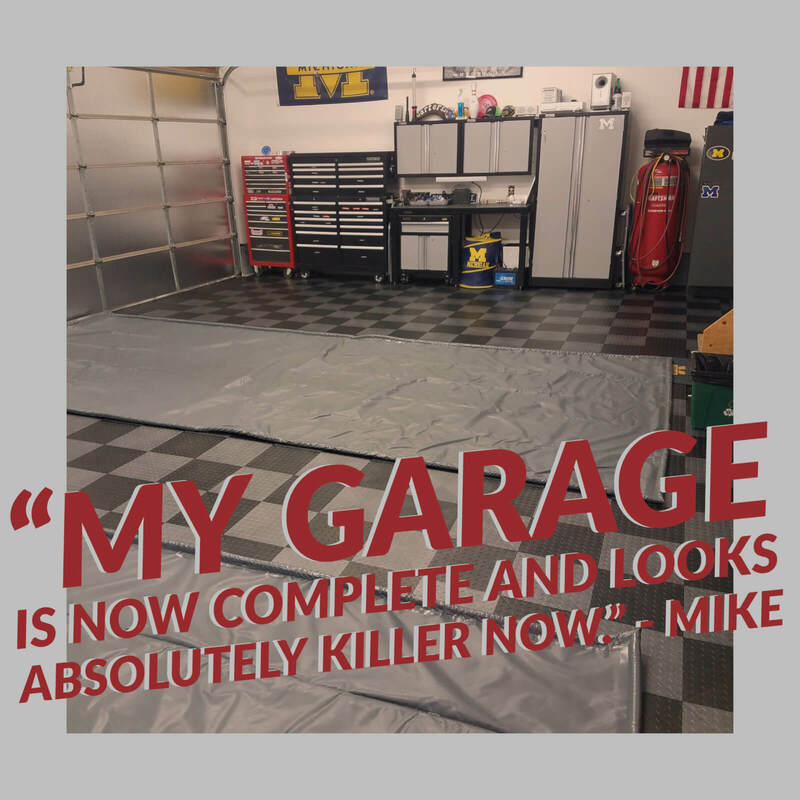 Mike used a traditional checkerboard pattern for his garage, and it looks great! 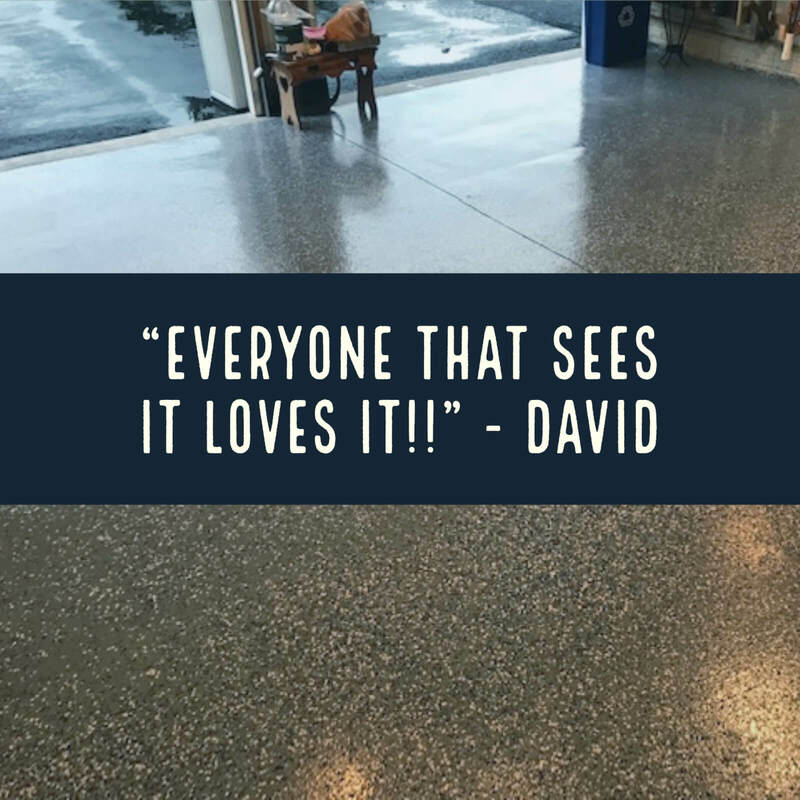 We can’t help it : ) Our customers are what keeps us going. As a small business, we value you so much. We appreciate your support and loyalty. 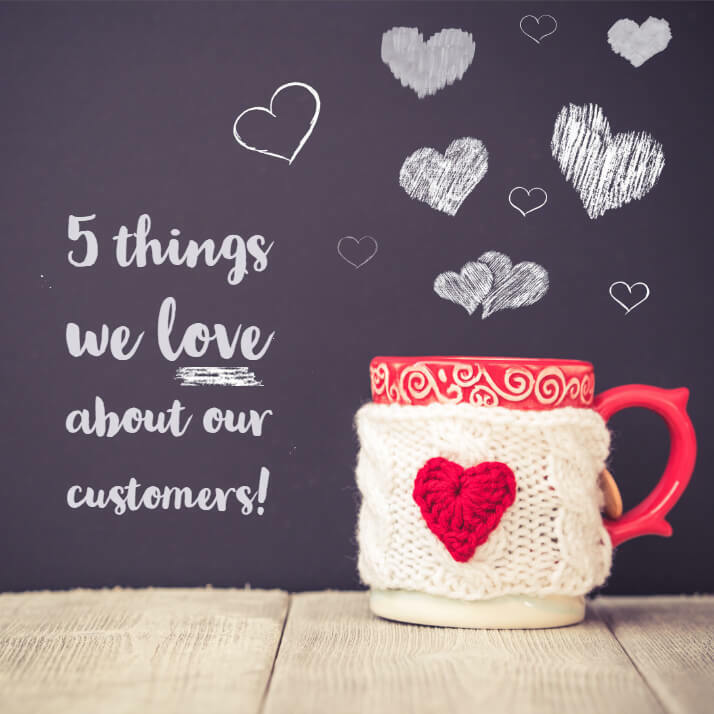 Anndd we know it’s a little mushy, but we put together a list of a few reasons we love our customers. You make us a better business. 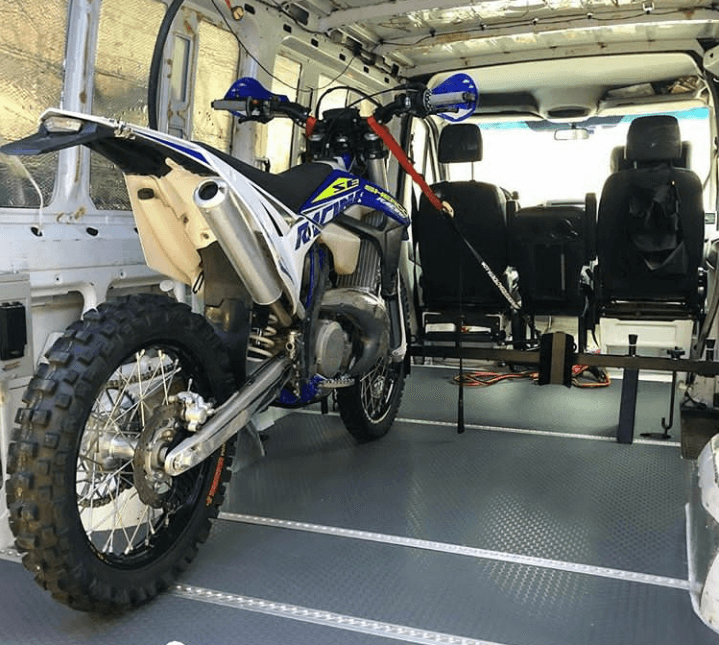 Brian, with Seat Time, installed the Small Coin Trailer Flooring in his Moto Van. As his slogan indicates, the flooring is “A Pint Full of Awesome.” Brian installed the trailer flooring on plywood. Then, he placed it in the van. Because he chose felt-back small coin mat, Brian has a textured surface that is easy to roll over with the added cushion from the felt. 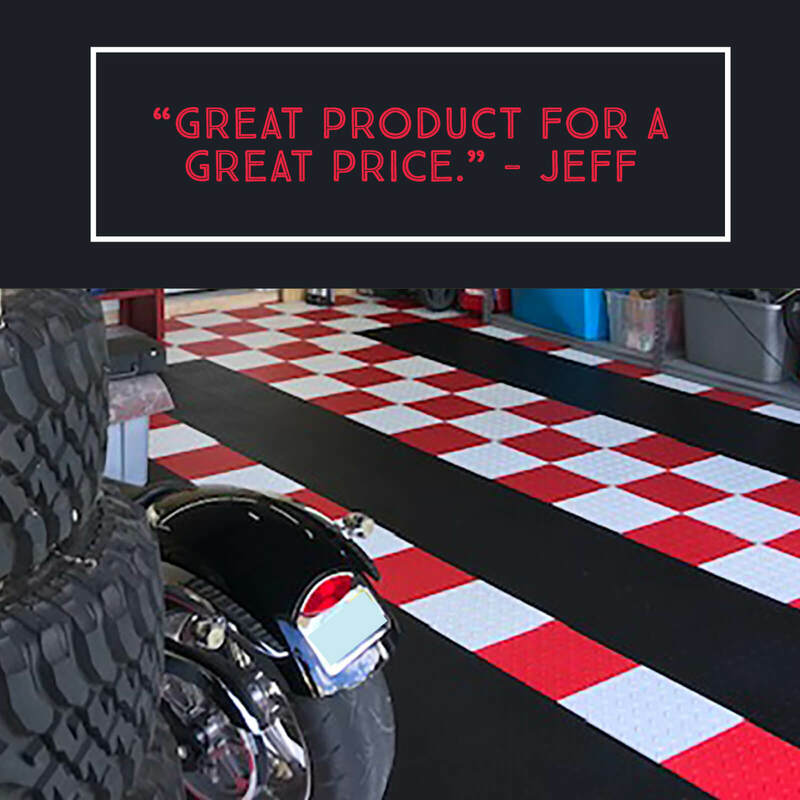 Jeff installed diamond patterned garage floor tiles in his two-car garage. 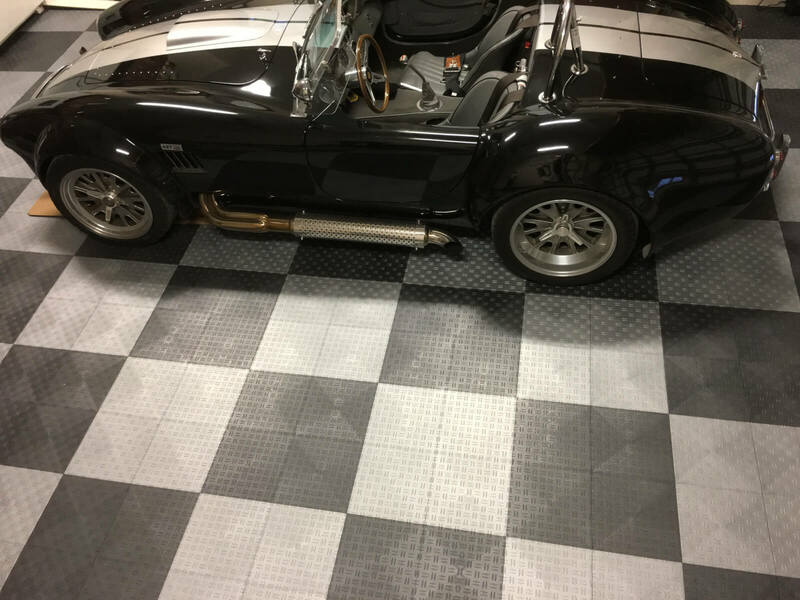 The design of his garage floor tiles created clear parking spots for the cars while looking great! We like how he used red, white, and black, tiles to match his Corvette! 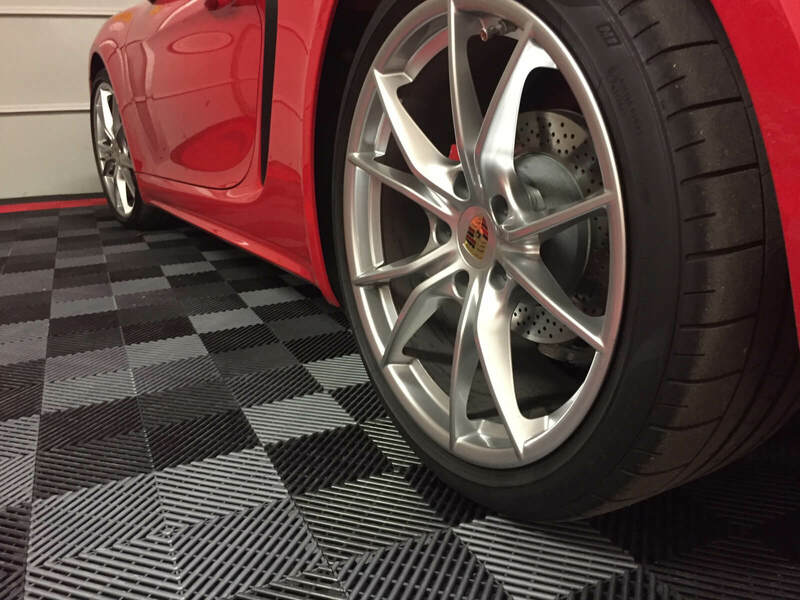 Mason installed the free-flow tiles in his garage for his two Porsches. The garage turned out spectacular! We love the black and graphite checkerboard pattern with the red borders. The painted wall combined with the tiles makes the garage look like it was finished professionally! 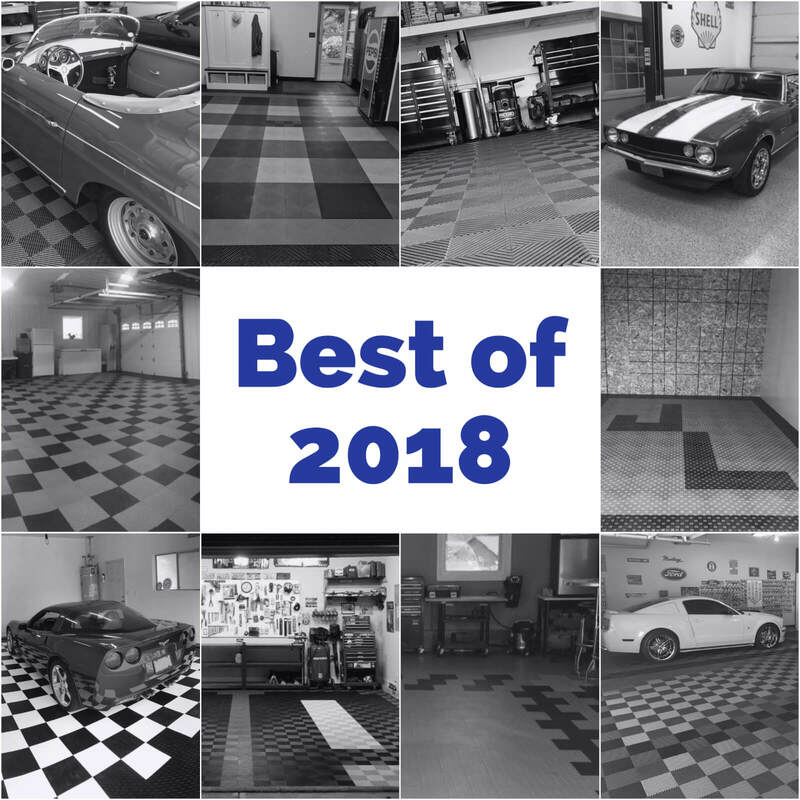 To celebrate the end of 2018, we wanted to share a few of our favorite garage flooring projects from 2018 with you. Throughout the year, our customers send us amazing photos of their garages. We put these photos (with permission of course) on our blog or on our social media sites. 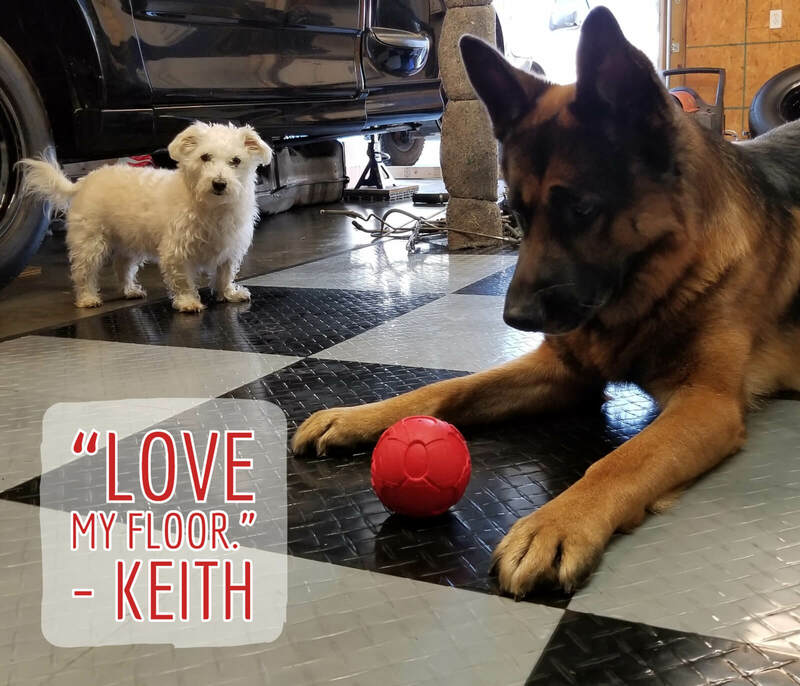 This year, we received several photos of garage floors that just made our jaw drop- and we can’t help sharing them with you!